So when is public education going to get on board the "video game as instruction" revolution? The use of video games as an instructional tool is so obvious to some of us. Why is it always so difficult for public education to catch on? I strongly believe that our educational system is so conservative that we simply cannot fathom the idea of using "video games" as an instructional tool. There was a time not long ago that the words "video games" were synonymous with "a complete waste of time and energy". That is simply not true. With proper guidance from teachers and/or parent supervision, video games can be an unprecedented learning tool for the 21st century. Let me be clear that I am not discussing edutainment apps/games or educational apps. I am talking about real video games. These companies probably did not set forth to create a game that would be a benefit to education, but it happened. Serendipity! 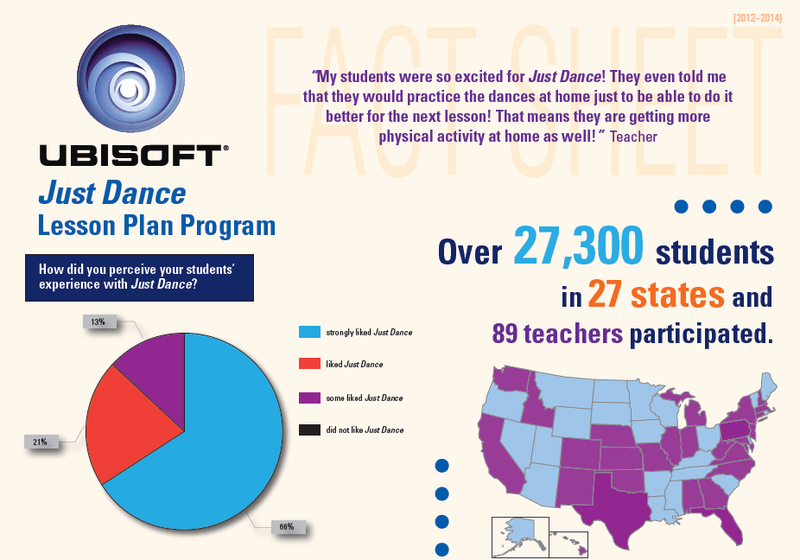 For example, Ubisoft has two games that could integrate into your health, physical education and music classes. 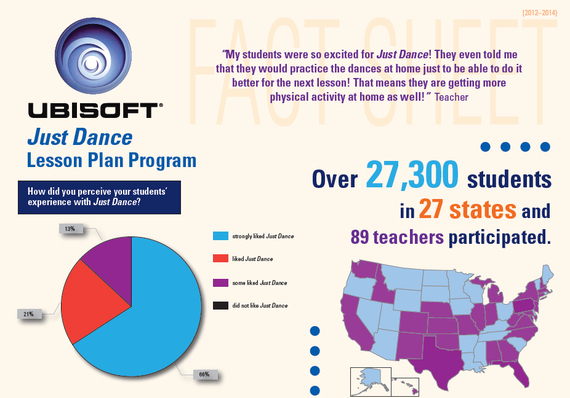 Just Dance is a series of games that may already be a part of many P.E. classes. This game not only gives students the opportunity for cardio movement, but is also valuable in the study of kinesics. Kinesics movement is a proven educational benefit in the study of nonverbal communication. Rocksmith, another Ubisoft title, is an entire music course rolled into a video game. It is a guitar tutor that uses a real guitar and not only gives you challenges to perform, but also teaches you the instrument as it progresses. It is a music class in a box. When I was a band director, I taught beginning through advanced guitar classes. If I had to do that now, I am sure I would use this program. "1979 Revolution: Black Friday" lets gamers experience the tumultuous events through the eyes of a photojournalist who is watching his country unravel. Released recently by indie game designer iNK Stories, the game has garnered acclaim for its accurate depiction of the revolution. The lead on the project, Navid Khonsari -- a former Rockstar Games designer who helped develop the popular "Grand Theft Auto" series - says he wanted to create a game that is not only historically accurate but could also lead to a new genre of video games. If you can believe it, even the government has been using video games to train FBI agents and other groups. For example, Dauntless, a video game based on the Divergent Series books, is being used to train the Military, FBI etc. If this game was altered for public use, the educational benefit would be fantastic, not to mention the students' eventual motivation to actually read the Divergent Series books. Also many video game companies are getting involved in education by teaching how STEM relates to creating video games. For example EA Sports has an entire program dedicated to sharing with students the benefits of STEM and how it relates to creating video games. Their flagship video game, Madden Football, is an example of how this is accomplished. The subject of science has taken gaming to an entirely new level. Beyond just learning through gaming, scientists have created games that, when played, actually help scientific research. There is a game called Fold It that has you folding proteins. The science is fascinating and any Middle School or High School science class would love this experience. Not only would the students be learning about science but as they are playing the game, they are actually helping the scientist's progress with their understanding of protein folding. Foldit attempts to predict the structure of a protein by taking advantage of humans' puzzle-solving intuitions and having people play competitively to fold the best proteins. There are so many opportunities for video games to be a critical part of our educational system. It is high time we take these things seriously and use video games. Below I created a list of subjects and a suggestion for a modern day video game that might be a useful tool for delivering content. Good Luck!